Cross-slotted screws for fan installation on radiators. The length given with cylinder-head screws is the length of the thread only. These screws can be used to mount fans on radiators. The M4 thread is compatible to all BlackIce radiators! Important: These screws should only be used in combination with a 25mm fan, as these screws are too long for installation of slim fans, they would possibly damage the radiator. 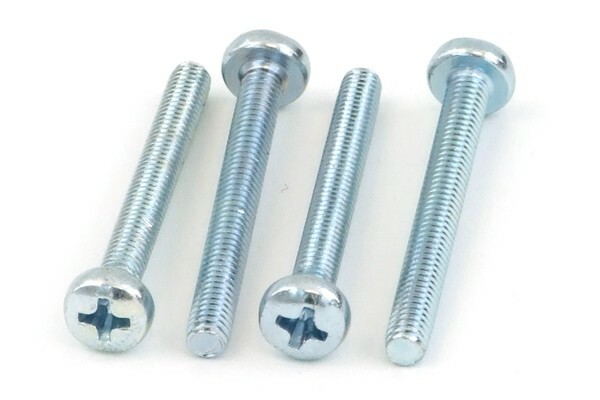 If, in combination with a 20mm fan, a rad grill is used these screws can be used. Note: Screwing in these screws too far may damage the radiator, always check if the length is right. These screws may sometimes be too long.